AECOM has released drone footage of the 2018 Serpentine Pavilion, which opened to the public last week, so that people can experience the project from a bird’s eye view. For the sixth year running, AECOM, in collaboration with David Glover, delivered engineering and technical design services for the project. Ross Manship, Lead Drone Pilot, AECOM, said: “The beauty of a project like the Serpentine Pavilion is that it can look so different from various angles and usually people are only given this perspective from the ground. It’s great to give people an aerial view of this iconic and inspirational project. “Working on this project makes a change from my usual day job, which usually involves working with drones on infrastructure projects or 3D visualisations of proposed developments, collecting photos and videos to be used in public consultations. We have the capability in house to add 3D visualisations of proposed developments and the eye in the sky view from a drone really helps to create a view of how things might look that people can really grasp. The Mexican architect Frida Escobedo, celebrated for dynamic projects that reactivate urban space, was commissioned to design this year’s Serpentine Pavilion. AECOM has worked closely with the architect, the Serpentine Galleries and contractor, Stage One Creative Services, to develop the concept into a finely detailed construction for the public to enjoy. The Serpentine Pavilion is one of the top ten most-visited architectural and design exhibitions in the world. Each year, the Serpentine Galleries commissions an international architect to design a temporary Pavilion for the Gallery grounds. Last year, AECOM provided engineering and technical advisory services for Diébédo Francis Kéré’s Pavilion, which was a bold, innovative structure that brought the architect’s characteristic sense of light and life to the lawns of Kensington Gardens. In 2016, for the first time, the Serpentine Galleries expanded its annual architecture programme to include four Summer Houses and in 2015, AECOM helped to bring selgascano’s colourful, translucent, chrysalis-like design to life. In 2014 the company helped design and deliver Smiljan Radić’s toroidal shell structure and in 2013 it provided engineering and technical design services for Sou Fujimoto’s cloud-like Pavilion. Q&A with the AECOM Serpentine team, Jon Leach, Amy Koerbel and Michael Orr. June 11th – British architect Adrian Welch, Founding Editor of e-architect, interviews AECOM’s Project Engineers for Mexican architect Frida Escobedo’s Serpentine Pavilion about their role in this internationally renowned cultural project. – I’m guessing you haven’t worked with Frida Escobedo before? I believe this is her first building in Europe, did you research her work before you met her? Can you tell us a little about meeting her? None of us have had the pleasure of working with Frida before she was appointed to design the 2018 Pavilion. As always with Pavilion architects we do as much research on their previous projects as we can to get a sense of their architectural style. Frida has actually worked in Europe before, and not too far from the Serpentine Gallery – she created an Aztec-inspired installation in the V&A courtyard back in 2015. Our first meeting with Frida was in December 2017, shortly after being appointed, and it was clear that she had a very strong idea as to what her Pavilion was going to be about but also that she was ready and willing to come along the journey of design that the Serpentine Pavilion demands. – did you come up with any technical challenges in forming the celosia (traditional breeze wall) formed from cement roof tiles? The main technical challenge in forming the celosia was physically sourcing the bespoke cement roof tiles used to create the effect. To allow the tiles to slot over the steel framework which provides the structure to the walls, holes had to be formed in each corner of the tile. The exact size and position of these holes was determined on a trial and error basis by the tile supplier and it was quickly determined that the only way to get the tiles made in the quantities required was to fire them with the holes pre-formed, as opposed to drilling standard stock tiles. The traditional design stage of the Pavilion is in January/February, allowing maximum time for off-site fabrication ahead of construction starting in April. What we discovered when we went to market was that January/February is when tile manufacturers are busy producing their stock of tiles for the busy summer house building season. This meant in order to secure the bespoke tiles, we had to have them ordered by the 2nd January 2018. The pre-determined hole positions in the tiles meant that the geometry of the supporting structure was also defined. The AECOM team moved quickly from analysing scratch digital models to undertaking tests on full-scale mock ups in coordination with the contractor, Stage One. 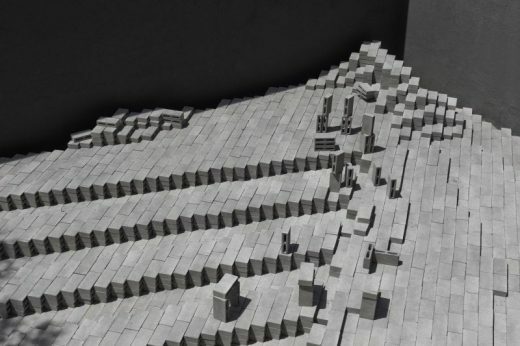 The tests allowed the dynamic response of the heavy cantilevering wall to be accurately determined and details agreed for fabrication. – this is a prestigious commission for AECOM, with the company remaining involved for six years delivering a range of technical advisory services, can you tell me how you tackle the project generally, in terms of resource and programme? The Serpentine Pavilion is a prestigious commission, which AECOM are delighted to be associated with. One of the joys of the Pavilion project is seeing how differently a similar brief can be re-imagined year on year by the chosen architect and then working together with them, the Client and the contractor to ensure it gets designed and built within the same six month window. The relationship between all parties is important, and the whole team works hard to understand the architect’s vision and then apply our combined experience to deliver that vision. The programme for the project is very fast moving and requires design-led, quick and pragmatic decision making. AECOM responds to this by generally keeping the same key team members on the project year-on-year, so that we bring that depth of project-specific experience to each Pavilion. Additional specialist resource is then brought in and out depending on the demands of the individual Pavilion, and becomes a labour of love for all involved. – the images show what appears to be a seamless curved mirrored soffit, how are the inevitable panels connected to each other and to the light breeze wall structure below? The curved, mirrored, stainless soffit to the roof was a late addition to the design, brought in to increase the number of different interactions of light and shadow around the Pavilion. The ‘seamless’ panels are actually broken down into smaller trapezoidal shaped panels, sized to suit standard sheet sizes to reduce wastage. The panels are fixed to purlins which span between the primary structure with countersunk square head screws. The inevitable gaps between the panels have been expressed to allow for construction tolerances in the build, with strips of stainless steel used to splice the plates together, set back to create a small shadow gap. – What were the major obstacles created by the tight construction timescale of around six weeks, for example the inclusion of a pool and associated drainage, pump, etc.? Buildability, and the ability to easily de-mount and re-build the Pavilion is a major driver in the design. The architectural intent produced by Frida provided an unique opportunity to modularise the build, especially the celosia. 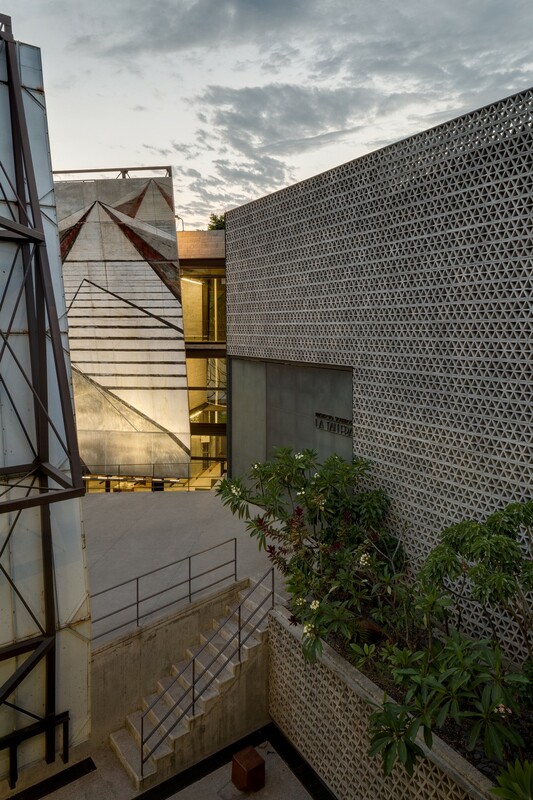 Each wall module was designed to be fully fabricated, including tiles in approximately 1m x 1m squares on elevation off site. The pre-assembled modules could then be stacked up on site like giant Lego bricks and welded together to provide structural continuity. The inclusion of the pool was an interesting design challenge and the first AECOM-designed Pavilion to include a mechanical water feature. The exact detail of the pool took a little while to agree but ultimately simplicity won out – cement screed poured between standard ACO drains provide the level surface for the pool with input and drainage pipes connected to the drains. The installation of the pool itself was decoupled from the critical path as it could be constructed in and around the build of the walls and the roof. – The pavilion hosts a range of events including a café and free family activities during the day and a space for the Park Nights programme of performative works by artists, writers and musicians by night, how did AECOM facilitate this changing programme? What were the key challenges? Part of AECOM’s technical advisory role is to guide the architect through the various usage requirements of the Pavilion. During the day it is free and open to all members of the public and at night is generally closed off for private events or performances. The changing nature of the Pavilion comes with its own set of challenges. – Finally, how does this year’s design challenge compare to working on Diébédo Francis Kéré’s pavilion? The design challenge for Frida’s Pavilion revolved mainly around the procurement of the tiles that form the celosia. The final tile pattern was determined by what could be sourced in the time we had available. From the tile pattern, the overall dimensions of the Pavilion were set, along with the span of the roof. Therefore the Pavilion design this year was very much based around a series of simple but carefully considered building blocks, compared with last year’s which evolved more organically and involved more experimentation with digital prototypes and geometry rationalisation. In both cases the design of the roof, whilst a relatively short span, borrowed inherent knowledge within the AECOM team of designing long-span roofs for sports and aviation projects, ensuring that the critical details, such as achieving a flat, crisp edge to the east and west sides could be easily constructed. Construction of the 2018 Serpentine Pavilion in Kensington Gardens, London, has started. For the sixth year running, AECOM, in collaboration with David Glover, are delivering engineering and technical design services for the project. The Mexican architect Frida Escobedo, celebrated for dynamic projects that reactivate urban space, was commissioned to design this year’s Serpentine Pavilion. 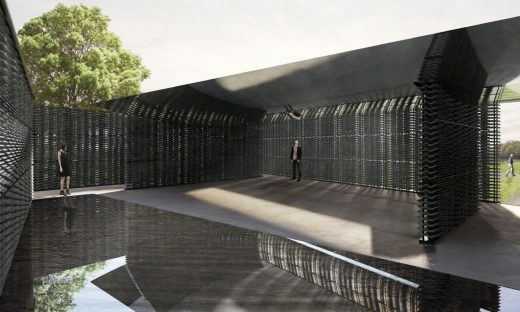 AECOM has worked closely with the architect, the Serpentine Galleries and contractor, Stage One Creative Services, to develop the concept into a finely detailed construction, ready for the public to enjoy upon its opening in June. British-made materials feature heavily in the Pavilion’s construction, chosen for their dark colours and textured surfaces. A celosia – a traditional breeze wall common to Mexican architecture – will be composed of a lattice of cement roof tiles that diffuse the view out into the park, transforming it into a vibrant blur of greens and blues. Two reflecting elements will emphasise the movement of light and shadow inside the Pavilion over the course of the day. The curved underside of the canopy will be clad with mirrored panels, and a triangular pool cast into the Pavilion floor will trace its boundary directly beneath the edge of the roof, along the north axis of the Meridian. As the sun moves across the sky, reflected and refracted by these features, visitors may feel a heightened awareness of time spent in play, improvisation and contemplation over the summer months. 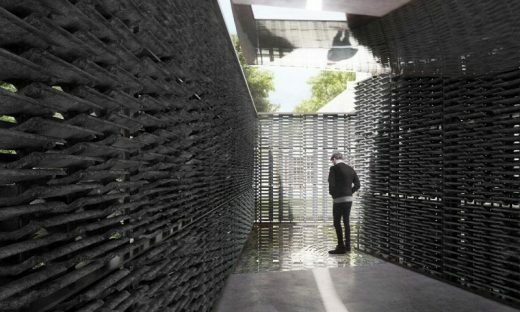 The Serpentine Gallery has announced its selection for the 18th annual Serpentine Pavilion: Mexican architect Frida Escobedo will design a temporary structure for the gallery’s lawn in London’s Kensington Gardens. 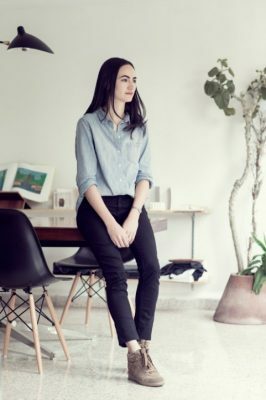 Born in 1979, Escobedo is the youngest architect yet to accept the commission. 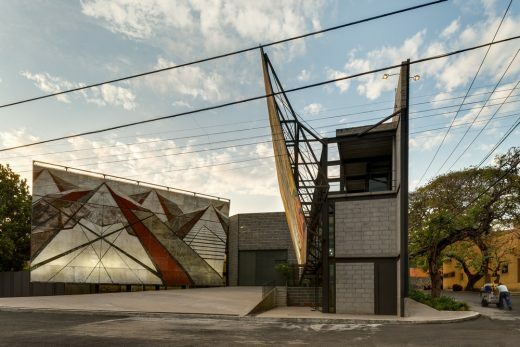 Escobedo founded her architecture practice in Mexico City in 2006. Due to popular demand the pavilion will remain open for an additional six weeks, until 19th November. For the fifth year running, AECOM, in collaboration with David Glover, delivered technical advisory services for the Pavilion, including structural and civil engineering, fire engineering, electrical engineering and lighting design. Diébédo Francis Kéré, an architect from Burkina Faso responded to the brief with a bold, innovative structure that brings his characteristic sense of light and life to the lawns of Kensington Gardens. Sou Fujimoto is a 41-year-old Japanese architect. 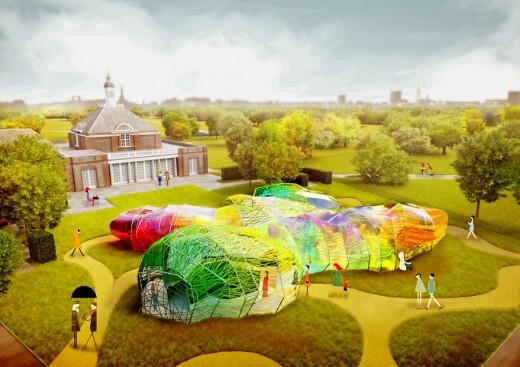 The Serpentine Gallery Pavilion 2013 will be designed by multi award-winning Japanese architect Sou Fujimoto. He is the thirteenth and, at 41, youngest architect to accept the invitation to design a temporary structure for the Serpentine Gallery. The most ambitious architectural programme of its kind worldwide, the Serpentine’s annual Pavilion commission is one of the most anticipated announcements on the cultural calendar. Past Pavilions have included designs by Herzog & de Meuron and Ai Weiwei (2012), Frank Gehry (2008), the late Oscar Niemeyer (2003) and Zaha Hadid, who designed the inaugural structure in 2000. Occupying some 350 square-metres of lawn in front of the Serpentine Gallery, Sou Fujimoto’s delicate, latticed structure of 20mm steel poles will have a lightweight and semi-transparent appearance that will allow it to blend, cloud-like, into the landscape and against the classical backdrop of the Gallery’s colonnaded East wing. Designed as a flexible, multi-purpose social space – with a café sited inside – visitors will be encouraged to enter and interact with the Pavilion in different ways throughout its four-month tenure in London’s Kensington Gardens. “For the 2013 Pavilion I propose an architectural landscape: a transparent terrain that encourages people to interact with and explore the site in diverse ways. Within the pastoral context of Kensington Gardens, I envisage the vivid greenery of the surrounding plant life woven together with a constructed geometry. A new form of environment will be created, where the natural and the man-made merge; not solely architectural nor solely natural, but a unique meeting of the two. This year’s Pavilion takes visitors beneath the Serpentine’s lawn to explore the hidden history of its previous Pavilions. Eleven columns characterising each past Pavilion and a twelfth column representing the current structure support a floating platform roof 1.4 metres above ground. The Pavilion’s interior is clad in cork, a sustainable building material chosen for its unique qualities and to echo the excavated earth. Taking an archaeological approach, the architects have created a design that will inspire visitors to look beneath the surface of the park as well as back in time across the ghosts of the earlier structures. The Serpentine Gallery today released plans for the 2012 Serpentine Gallery Pavilion designed by Herzog & de Meuron and Ai Weiwei. It will be the twelfth commission in the Gallery’s annual series, the world’s first and most ambitious architectural programme of its kind. The Serpentine Gallery Pavilion will operate as a public space and as a venue for Park Nights, the Gallery’s high-profile programme of public talks and events. Connecting to the archaeological focus of the Pavilion design, Park Nights will culminate in October with the Serpentine Gallery Memory Marathon, the latest edition of the annual Serpentine Marathon series conceived by Hans Ulrich Obrist, now in its seventh year. The Marathon series began in 2006 with the 24-hour Serpentine Gallery Interview Marathon; followed by the Experiment Marathon in 2007; the Manifesto Marathon in 2008; the Poetry Marathon in 2009, the Map Marathon in 2010 and the Garden Marathon in 2011. The Serpentine Gallery Pavilion 2012 designed by Herzog & de Meuron and Ai Weiwei will take place from 1 June to 14 October 2012. 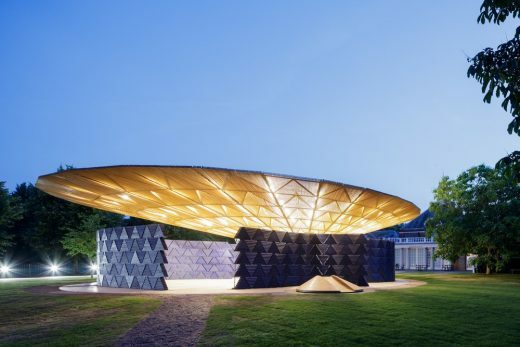 “Every year since 2000, a different architect has been responsible for creating the Serpentine Gallery’s summer Pavilion for Kensington Gardens. That makes eleven Pavilions so far, our contribution will be the twelfth. 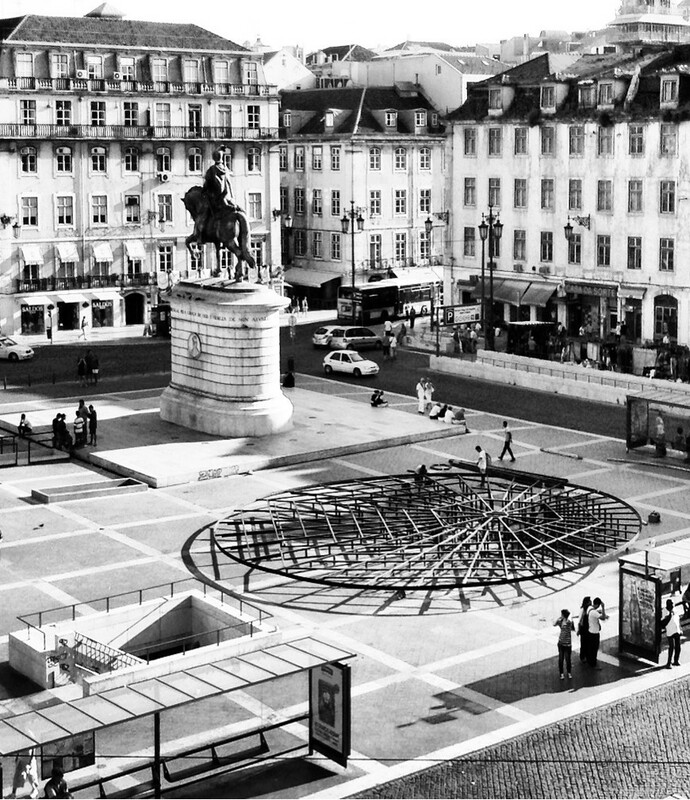 So many Pavilions in so many different shapes and out of so many different materials have been conceived and built that we tried instinctively to sidestep the unavoidable problem of creating an object, a concrete shape. “Our path to an alternative solution involves digging down some five feet into the soil of the park until we reach the groundwater. There we dig a waterhole, a kind of well, to collect all of the London rain that falls in the area of the Pavilion. In that way we incorporate an otherwise invisible aspect of reality in the park – the water under the ground – into our Pavilion. As we dig down into the earth we encounter a diversity of constructed realities such as telephone cables and former foundations. Like a team of archaeologists, we identify these physical fragments as remains of the eleven Pavilions built between 2000 and 2011. Their shape varies: circular, long and narrow, dots and also large, constructed hollows that have been filled in. These remains testify to the existence of the former Pavilions and their greater or lesser intervention in the natural environment of the park. “All of these foundations will now be uncovered and reconstructed. The old foundations form a jumble of convoluted lines, like a sewing pattern. A distinctive landscape emerges out of the reconstructed foundations which is unlike anything we could have invented; its form and shape is actually a serendipitous gift. The three-dimensional reality of this landscape is astonishing and it is also the perfect place to sit, stand, lie down or just look and be amazed. In other words, the ideal environment for continuing to do what visitors have been doing in the Serpentine Gallery Pavilions over the past eleven years – and a discovery for the many new visitors anticipated for the London 2012 Olympic Games. The Serpentine Gallery announced today that the Beijing team would collaborate once more to design this year’s pavilion – the 12th commission in what has become a major annual event on the architecture calendar. Ai Weiwei has been planning the project with Herzog and de Meuron using Skype and it remains to be seen whether he will be allowed to leave China by the time the pavilion is up in June. A few details of their plans have been revealed including the indication of it being the lowest pavilion ever, with the roof barely 5ft off the ground. People will be able to go under it because they also plan to dig down a few feet. There will be 12 columns – 11 representing the past pavilions and one for the present – supporting a floating platform roof 5ft from the ground. That roof will collect rain water and reflect the sky as well as being capable of being drained and used for special events “as a dance floor or simply as a platform suspended above the park”. The pavilion, they promise, will become “the perfect place to sit, stand, lie down or just look and be amazed”. 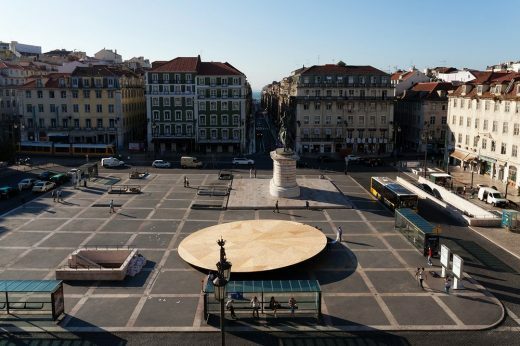 It will go up in June as part of the London 2012 festival which will mark the culmination of the Cultural Olympiad. The Serpentine Gallery Garden Marathon is the sixth in the Gallery’s acclaimed Marathon series. This two-day event is an exploration of the concept of the garden and inspired by the Serpentine Gallery Pavilion 2011 designed by Peter Zumthor and the garden inside, designed by Piet Oudolf. Contributions will include explorations of the spatial, urban and scientific importance of gardens by key figures from horticulture, design and architecture. The Marathon will also present works by artists, poets, writers and philosophers, exploring the significance of the garden in our experience of the world, as well as cutting-edge research in biodiversity, conservation and genetics. Curated by Hans Ulrich Obrist, Co-Director of Exhibitions and Programmes and Director of International Projects; Sally Tallant, Head of Programmes; Nicola Lees, Public Programmes Curator and Lucia Pietroiusti, Assistant Curator, Serpentine Gallery. Gardens have been a source of inspiration for artists, writers and poets such as Ian Hamilton Finlay whose words can be seen in the permanent installation in the Gallery’s grounds. Serpentine Gallery Marathons are a unique series of events that bring together the fields of art, culture, science and technology. Previous Marathons have included last year’s Map Marathon 2010, following on from the Poetry Marathon 2009, Manifesto Marathon 2008, Experiment Marathon 2007 and the Interview Marathon 2006. Relocation of the ZHA design to Chatsworth.